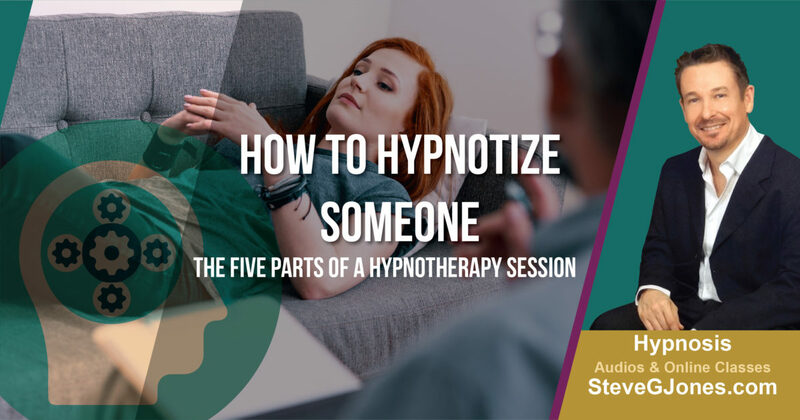 This is a guide that will teach you how to hypnotize someone, based on the five parts of a hypnotherapy session that I teach in my Online Hypnotherapy Certification Course. Hypnosis can be a valuable part of a patient’s care plan and a tool for building and maintaining a healthy life. It relies on an established trust (rapport) between practitioner and patient. When that trust is built, a trained hypnotic practitioner can guide a patient into a deep state of hypnosis and address a variety of concerns. Clinical hypnosis can be used to help everything from anxiety and depression to smoking cessation and weight loss. So, how exactly does a clinical hypnosis session begin? After establishing rapport with the client, the hypnotic induction can begin. 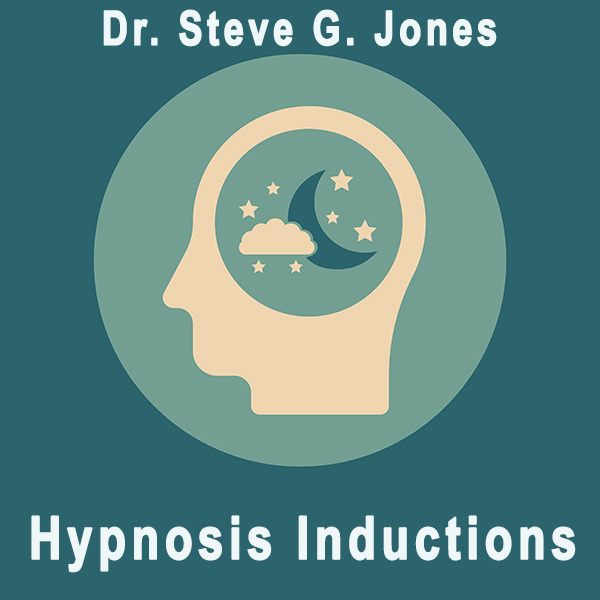 The induction is the first part of a five-part hypnotherapy session. It is used to relax the client into a hypnotic state. The proper use of an induction is essential to any hypnosis session. Hypnotic induction is the process that a practitioner uses to get a patient into a state of hypnosis. Dr. Matthew Whalley, a clinical psychologist in the UK’s National Health Service and author of Hypnosis and Suggestion, suggests that practitioners start by “giving a willing participant instructions to focus on the hypnotist’s voice, to concentrate their attention, and to pay attention to their inner mental world.” This can be accomplished using a variety of techniques, based on the personality and needs of the patient and expertise of the practitioner. Hypnotic inductions can occur in a variety of forms. From a practitioner-led visualization to a more showman-like rapid induction, the purpose of hypnotic induction is to put the patient into a state of hypnosis. Dr. Whalley defines a hypnotic induction as “a procedure that is used to help someone become hypnotized.” They can include verbal instructions, suggestions, and nonverbal cues. A few techniques and hypnotic induction examples are outlined below. When using a relaxation technique, the practitioner helps the patient relax physically by guiding them through consciously relaxing each part of their body. While a patient is sitting or lying in a comfortable position, the practitioner will speak to them soothingly, saying things such as “Now think about your arms. Relax the muscles, letting them sink into the chair, loose and limp.” The practitioner goes through each area of the body and muscle group until the patient is completely relaxed and in a hypnotized state. This is one of the most straightforward techniques for hypnotic induction and is widely practiced. The relaxation technique is one of the first hypnotic induction techniques a practitioner should master, as it can be used on so many different patients in a variety of mental states. It can take up to 30 minutes to get a patient into true hypnosis using this technique, but it is very effective. It also requires the patient to be open to hypnosis, which can be determined using one of the susceptibility tests. If a patient is not easily hypnotized or is resisting relaxing during a particular session, other inductions may need to be used in conjunction with the relaxation technique. Hypnotic induction can also occur using a muscle tightening technique. This is similar to relaxation, but includes a guided tightening and relaxing of various muscle groups prior to relaxation. It is thought to increase or heighten relaxation, leading to a deeper hypnotic state. The muscle tightening hypnotic induction technique can also take 30 minutes or more to get a patient into a true hypnotic state. It takes a longer investment of time, but is very effective and one of the easiest induction techniques to master. While relaxation-based techniques are meant to quiet the mind, a confusion or sensory overload hypnotic induction technique stimulates the mind to the point of confusion. The practitioner draws the patient’s attention to a variety of external stimuli rapidly, without giving them time to process what they are experiencing. These stimuli can include things such as the sound of the practitioner’s voice, objects in the room, or things entering and leaving the patient’s mind. Using this technique, the practitioner narrates all of the things in the room and environment that the patient may be focusing on, such as sounds, scents, even visualizing body parts and sensations. The key to confusion or sensory overload hypnotic induction technique is to keep up a fast pace of stimuli. Eventually, the patient is unable to keep up and goes into a hypnotic state. Hypnotic induction scripts, using relaxing phrases, can be used in conjunction with a single point of visual focus. This can be an object, such as a pocket watch, or could be a point on the wall. Another common object is the practitioner’s pen or pencil. This is a common technique for those easily hypnotized or with an established practitioner-patient relationship. It is a tool that all practitioners should have at their disposal. Hypnotic induction using visualization is another widely used technique in which a practitioner guides the patient to another location or setting in their mind. This can be especially calming for those who struggle to put their own thoughts aside and focus. The goal of this technique is to help the patient relax by having them visualize a place or environment where they feel relaxed. Many practitioners use a hypnotic induction script to help provide details and visual imagery that will get the patient into their most relaxed state. A beach or lake scene is a popular way for practitioners to guide patients through a visualization hypnotic induction. Understanding the best way to use visualization requires both practitioner and patient establish a level of trust, understanding, and rapport. It is important for the practitioner to avoid using too many specific details that may not match with the patient’s own mental image. For example, a patient may picture a beach scene with white sand and tranquil, turquoise water. It would make the visualization ineffective for the practitioner to provide details about a rocky coast with churning waves. Provide just enough details to guide the patient into a relaxed state. Visualization techniques are often used in meditation and other forms of relaxation. In hypnosis, the visualization is guided by a trained practitioner and can be responsive to the needs and reaction of the patient in that particular session. A hypnotic induction pdf can be useful for practitioners to study before a session. Examples of visualization hypnotic induction techniques can be found here. Pace and lead is an effective way to guide and influence in a variety of situations, including everyday conversation, job interviews, and sales. It is a technique studied by top sales professionals, public speakers, and business executives. It is also a useful technique for hypnotic induction. Using the pace and lead technique, a practitioner changes their own state, including breathing, tone, and pace of speaking, to match the patient’s. They then lead the patient to the desired state by adjusting their own breathing and voice gradually. This technique is complementary to other hypnotic induction techniques, such as visualization or relaxation. Many practitioners start pacing as soon as a patient enters their office, leading them into a state of hypnosis using other hypnotic inductions during the session. This technique occurs in the background of the session but is just as important to establish an overall sense of relaxation, ensuring the patient is open to hypnosis. Physical posture and position is a technique that is used to support other hypnotic induction methods, such as visualization or relaxation. It is one of the foundations needed to allow a patient to relax fully into a hypnotic state. The practitioner suggests the patient get into a physical position, such as sitting or lying, that they association with relaxation. This is why so many hypnosis practitioners have patients lie down before starting a hypnotic induction. Other postures may include a seated position or lying on the floor. Some patients prefer to lie down, while others feel more relaxed in a seated position. Asking these questions before the hypnosis session will help the practitioner understand the needs of the patient and respond accordingly. It should also be noted that the needs of a patient will change from session to session. The practitioner should be willing and ready to adapt to the patient’s needs on that particular day. The rapid induction technique is one of the most impressive but difficult to master. Using this technique, the practitioner puts the patient into a hypnotic state instantaneously using a physical manipulation and verbal cue. It is often used by in stage shows and by street hypnotists as it is an impressive show of hypnosis. Some clinical practitioners caution against using hypnosis as entertainment or without the guidance of a trained clinical practitioner. The effects of the hypnosis following the patient leaving a hypnotic trance can be unpredictable or unknown when not supervised by a trained professional. Rapid induction technique does require both practice and the right kind of hypnosis subject, however. For this reason, it is not used in clinical practice as much as other more reliable techniques. Many practitioners find that they have more success with hypnotic induction techniques such as visualization or relaxation. Though it takes longer, many patients also prefer this guided way to achieving the relaxed state needed to enter hypnosis. The “handshake” rapid induction technique involves a practitioner catching a patient off guard when going to shake their hand. Instead of shaking their hand as expected, the practitioner grabs their other wrist and guides them into a hypnotic state by taking advantage of their attention and having them focus on that hand. The rapid induction technique requires the patient be willing and highly susceptible to hypnosis. This is why completing one of the susceptibility tests can be so helpful when determining what hypnotic induction technique to use. Attempting a rapid induction technique on a patient who is wary or naturally resistant to suggestion will be difficult. Other techniques, such as relaxation or visualization, can be more effective. Rapid induction techniques can be more effective if a practitioner and patient have a shared history or multiple sessions of successful hypnosis. The hypnotic induction technique used may evolve as the practitioner and patient’s relationship evolves. A hypnotic deepening is used after an induction to relax the client more deeply into a hypnotic state. Like the induction, the proper use of a deepening is essential to any hypnosis session. However, some hypnosis subjects will go deeply enough into hypnosis from the induction and do not require a deepening. A hypnotic deepening (or deepener) is exactly what it sounds like – a way to get someone into a deeper trance during hypnosis. This allows the client to benefit from an effective session and make further progress towards their goals. 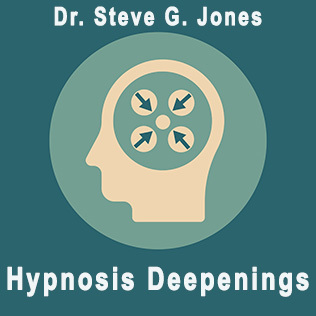 Entering a deeper state of hypnosis allows the client to be even more open to suggestion. For those working on positive lifestyle changes, such as smoking cessation, anxiety relief, or improved sleep, this deeper state can make the session more likely to succeed. A deepener is similar to a hypnotic induction and uses many of the same techniques. Effective hypnotic deepeners will enhance the sense of relaxation of the client. Just as a massage leaves clients feeling calm and relaxed, a hypnosis session can have a client walk out with a newfound sense of calm. Many clients engage in clinical hypnotherapy because they have anxiety or other lifestyle issues that they are struggling to overcome. Simply increasing their sense of relaxation and well-being can do wonders to help these issues improve. 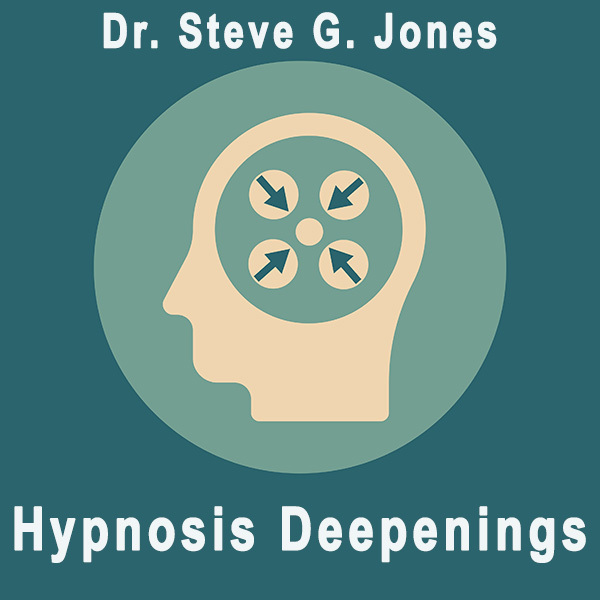 Hypnotic deepening takes the journey into hypnosis deeper. The client is led, often through continued use of relaxation or visualization hypnotherapy deepening techniques, to a deeper state. Once they are in a true state of hypnosis, the practitioner can go through a developed hypnosis script to work toward the client’s stated goals, whatever those may be. “In the deepest painting or story we can do our therapeutic work, with our client wrapped, as they are, in the secure, calm comfort of the inner sanctum of their trance.” says Mark Tyrrell, hypnotherapist and educator of Uncommon Knowledge, of hypnotic deepening. Effective hypnotic deepeners also take words into account. A skilled practitioner will guide clients “down” during a visualization or “deeper” into a scene. This is especially important to remember when writing hypnotic deepening scripts. It is crucial that the imagery and words used guide a client to a deeper state of relaxation and ultimately result in an effective hypnosis session. Including the words “deep,” “down,” and “relax” into the hypnotic deepener is the most critical component to establish an effective clinical practice and leading the client to a deeper state of hypnosis. This is necessary to begin the next step of therapy. Effective hypnotic deepeners do more than just lead a client “deeper” or “down.” Words will convey both the physical visualization, such as going down stairs, as well as the emotional reaction, a feeling of deeper calm. This can be done by explicitly stating how the client feels during the deepening, prompting them to react with that feeling. It can also be helpful to guide them gradually, such as by counting down the stairs individually rather than just telling them that they are going down a staircase. 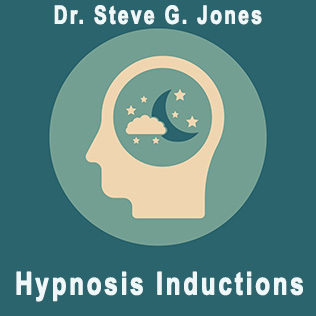 The same techniques that make hypnotic inductions work will be helpful during hypnotic deepening as well. Relaxation and visualization are the most widely used hypnotherapy deepening techniques, as they include verbal imagery and physical prompts that help a client relax into a state of deep hypnosis. Once a practitioner has completed the hypnotic induction and the client is open to suggestions, a hypnotic deepening technique can be used to further develop the hypnotic state. Start by talking slowly, drawing out your words to set a tone of relaxation for the session. One of the most effective words to draw out (and one of the most widely used) is the word “and.” This has been reported to increase a client’s sense of calm as well as help the language of the deepener flow smoothly and effortlessly. Silence is also a useful technique. Build in 30-60 seconds of silence to your hypnotic deepener. This helps the client relax. Physical techniques can also be useful to use to during hypnotic deepening. Imagery that focuses on limbs getting heavier, especially during a hypnotic deepening when the client is already open to the practitioner’s suggestions, will result in them actually experiencing heavy limbs. Slow, methodical breathing can also be used to deepen the client’s sense of relaxation and act as catalysts for going deeper into hypnosis. Trance deepening techniques such as these can help a practitioner effectively deliver the hypnotic deepener. One of the most effective, and therefore most frequently used, hypnotic deepeners is the hypnosis staircase deepener. There are many examples, but they all have one important thing in common. They lead a client deeper into hypnosis through visualizing a staircase. The hypnosis staircase deepener is so effective because it is an experience that virtually every client can visualize with ease. It also draws on the physicality of walking down a staircase to prompt the client to go down or deeper into hypnosis. A practitioner will verbally lead a client through visualizing walking down a flight of ten stairs, with relaxing imagery and suggestions included at every step. Details of the hypnosis staircase deepener are also easily customizable to the interests of each client. They can also be modified to complement a hypnosis induction visualization, such as a beach scenario or city scene. The basis of the deepening, going down the staircase, remains the same. One hypnosis staircase deepener may include imagery about going down a staircase to reach a lakeside dock. Another can be more abstract and lead to a door that opens to find a peaceful scene, such as a beach or ocean. There should be enough details included to help the client visualize and relax but not so many as to overwhelm or confuse the client listening. Other techniques and scripts can be used, but all focus on deepening a client’s sense of relaxation and the hypnotic state. Hypnotherapy deepening scripts can help a practitioner think through both the imagery and delivery of the deepening. Any script that prompts a client to relax deeper or more fully can be used as a deepener. Many practitioners choose to use the same hypnotherapy deepening script for multiple clients, as they can become more familiar with the nuances and delivery of the script’s imagery. Conversely, some opt to vary the scripts that they use to keep things fresh and new for the clients. Common hypnosis deepening scripts include the staircase deepener, a setting sun in a peaceful setting, walking down a hill or beach dune, and lowering a flag or other object. When choosing a hypnotic deepener, practitioners often pair the visualization with a complementary hypnotic induction. If a client is led through a calming beach visualization, the practitioner may choose to have them walk down a beach dune during deepening. The next time, they may prompt them to watch a setting sun over the water. Both are effective hypnotic deepenings and are complementary to the same hypnotic induction. Many practitioners have a toolbox of inductions and deepenings that they can easily choose from based on the needs of the client. This allows them to tailor a session to what will work for that individual, while remaining intimately familiar and experienced at using their tools. If a practitioner finds great success with beach imagery, they may have three or four inductions and three or four deepeners that they can mix and match to suit the client’s needs. This also allows them to build on the relationship that they develop with a particular client over multiple sessions. It is helpful for practitioners to have a variety of hypnosis induction scripts and hypnosis deepening scripts at their disposal. Beach visualizations, city scenes, and nature experiences are all commonly used. Clients report feeling great relaxation with this type of imagery under the guidance of a clinical hypnotherapist. Driving is also used as an effective relaxation visualization during deepening. It is important to know, however, that the induction and deepening techniques should not be used when actually driving, as entering a state of hypnosis while operating a motor vehicle is extremely dangerous. This includes listening to recordings of hypnosis techniques as well. 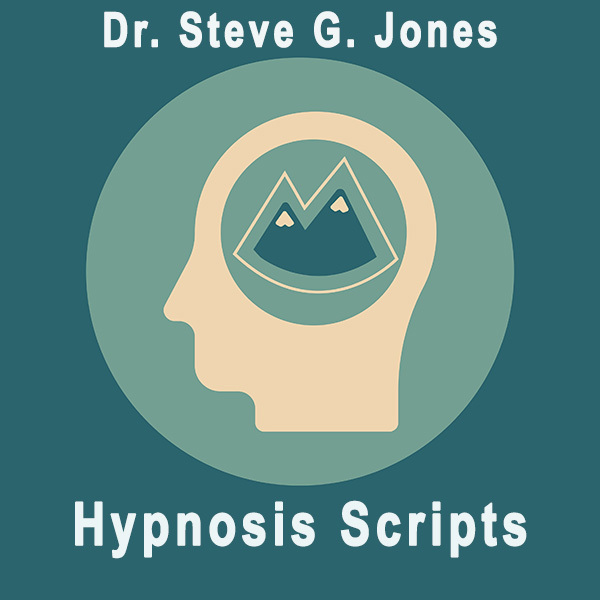 The hypnotic script is what a hypnoTHERAPY session is all about. If you include the script, you are doing hypnotherapy. If you do not, you are doing hypnosis. The therapy part of hypnotherapy is in the script. At this point, you have relaxed the client (induction) and deepened their sense of relaxation (deepening). Now it is time to deliver the message of positive change (script) to their subconscious mind. That’s what the script does – deliver the message of change. It is thanks to the hypnotic script that true breakthroughs occur. Once a patient is ready for a hypnotic script, the focus turns from relaxation to suggestion and change. While a calming and relaxing atmosphere is important during the entire hypnosis session, during the hypnotic script, the practitioner will use imagery and phrases designed to induce change, rather than to relax the patient. The practitioner will work to maintain a relaxing atmosphere through their language, tone, and presence. During a hypnotic script, the therapist makes suggestions that will ultimately lead to the desired change. These changes can address mental health issues, such as confidence, anxiety, body image, or self-esteem. They can also be used to assist with lifestyle improvements, including weight loss or to help quit smoking. The script can even be used in medical procedures, such as helping with dental procedure anxiety or pain management. It is also at this point that hypnotic suggestibility testing can begin. The type of challenge the session is meant to address will dictate the type of script used. How does a hypnotherapeutic script work? During a hypnotic script, the practitioner will retrain the patient’s subconscious mind to make positive associations instead of negative ones in a particular situation. For a patient with anxiety about going to the dentist, the practitioner would suggest that the patient enjoys dental procedures and knows that they are taking good care of their oral health. The therapist will retrain the subconscious to no longer fear the dentist or dental procedures. Instead, the mind will remain calm, knowing that nothing bad will happen to them. Walking a patient through a successful event, such as a visit to the dentist that goes great and leaves the patient with healthy, clean teeth, during the script can make the mind think that it has had that actual experience. The next time that the patient goes to the dentist, their mind will remain calm and relaxed because it has had a previous positive experience in that situation, even though that experience was during the script. The intention of an effective hypnotic script of this type is to have the patient associate what previously caused them anxiety or fear with a pleasant feeling. Preparation is key for effective hypnosis. This includes getting to know the individual client and their needs, as well as preparing the tools needed to help them reach their goals. The hypnotic script is one of the most important tools. But it must resonate with both practitioner and patient to be truly effective. This is where preparation comes in. Many hypnotherapists write their own scripts to be used for particular clients or to treat particular issues. This can be an effective and genuine way to ensure a quality session. New practitioners may consider using scripts written by other clinical hypnotherapists as they learn and master their craft. Even experienced practitioners choose to turn to others’ work on occasion to widen the variety of tools at their disposal. Therapists can easily find a free hypnosis script pdfs and ebooks available online. The important thing to remember when using a script written by another therapist is to practice and master delivery of the script prior to using it in a session. Under no circumstances should a practitioner deliver a script that they have not read and prepared. The script also needs to be customized to the individual client. When delivering a hypnotic script, it is important that both practitioner and patient believe in what is being said. A good hypnotherapist is aware of any triggers or negative connotations that a patient may have and will adjust to accommodate them. Even when using a script written by another practitioner, many hypnotherapists will make modifications when reviewing the script ahead of the session. They will add in or delete certain portions to make the overall script accomplish what is needed for that patient. It is okay to write down changes and read from a written script during the session, as the patient will have their eyes closed. It is important to get every word of the script correct, as what is said during the hypnotic script is directly impacting the patient’s subconscious mind. A practitioner does not need to memorize the script to deliver it effectively. When modifying scripts, the only rule is to keep any changes positive and calm to help the patient. Just as in all aspects of clinical hypnotherapy, a practitioner is there to help not harm. Imagery and suggestions that could harm the patient should never be added. Clinical hypnotherapy is meant to help, not harm. When working with the subconscious mind, practitioners must be aware of and respect the trust that patients have put in them. Weight loss and food-related scripts will focus on the desired outcome for the patient. This can include specific physical differences in their appearance, such as less fat or more prominent muscles. It can also include health outcomes, such as lower blood pressure or the desired blood sugar readings. It is important that these types of scripts have reasonable and realistic goals. Consulting a nutritionist or doctor on what kind of weight loss is healthy for a particular patient can help the therapist write a script that is believable and relevant to the patient’s subconscious. Telling a patient under hypnosis that they can lose 100 pounds before next week’s session is not helpful and could even be harmful or dangerous if that patient turns to extreme measures. Effective weight loss scripts address the patient’s motivation and reasons for overeating or having unhealthy habits. This is where understanding a patient and building rapport is so crucial. Before writing a hypnotic script, the practitioner should talk to the patient about the specifics of their overeating or weight loss struggles. Everyone struggles at some point with body image. Some seek clinical hypnotherapy as a way to retrain their subconscious mind and promote a healthier, more positive way of seeing themselves. A practitioner helping a patient improve their body image will focus on replacing negative images with more positive ones during the hypnotic script. Mirrors are particularly useful imagery to use during the hypnotic script. The practitioner can make suggestions about what the patient sees as well as how they feel about that image. These suggestions can help the patient remember the positive association they get with looking in the mirror long after the hypnosis session has concluded. Many patients who want to work out more and be more active turn to hypnosis to help them enjoy doing so. Practitioners working with patients who want to be more active will help them associate exercise and an active lifestyle with positive feelings. Practitioners can also write scripts to suggest lifestyle changes that will increase metabolism and lead to overall better health. The purpose of any hypnotic script is to suggest changes that will help a patient make progress toward a goal. Even small suggestions to the subconscious during a hypnosis session can lead to big changes and results. Many patients seek the help of a trained clinical hypnotherapist to overcome their anxiety. That anxiety could be centered on a particular event or location. It could also be a general feeling that is impeding a patient’s everyday interactions and life. Either way, it is important for the therapist to understand what causes the anxiety so that appropriate suggestions and change can be made. A hypnotic script designed to help with anxiety will focus on calming and relaxing the patient. It is important for all hypnotic scripts to be relaxing and calming, but even more so when the patient is seeking out hypnosis to help with anxiety. These patients are already in a heightened state and need extra attention and care given to creating a calming session. A hypnotic script to help with anxiety can use many of the same physical cues that help during hypnotic induction and deepening. The practitioner may suggest to the patient that their limbs are relaxed and heavy. They can also use positive imagery and visualization to help the patient associate that feeling of calm with positive outcomes. Free hypnosis scripts for anxiety can be found using online resources. Hypnosis can be used to help patients visualize and create positive life changes and outcomes. Scripts can deal with everything from finding love to creating wealth. Imagery focuses on creating a positive association with the desired outcome and helping the patient see themselves in a new way. These types of scripts are designed to change how the patient sees themselves and their capabilities, which will then lead to the desired change. Some patients turn to clinical hypnotherapy to help them overcome unhealthy habits, such as excessive alcohol consumption or smoking. During a hypnotic script designed to assist with building healthier habits, the therapist will work to make a positive association with less or no consumption. The desired change will depend on the patient’s goals. The script will focus on how great the patient feels when they engage in the behavior that they want to promote. Overcoming fear is one of the main reasons that patients turn to clinical hypnosis. A hypnotic script can help replace feelings of fear with positive associations around a certain trigger. These triggers include everything from dating to flying on airplanes. Some patients have generalized fears while others center on a specific activity. No matter the fear being addressed, hypnotic scripts to help a patient overcome a fear are highly individualized. One of the most sensationalized examples of hypnosis is when it is used in place of anesthesia during surgical procedures. Hypnosis can be used to help a variety of medical issues, including pain management. A hypnotic script that can work with pain management will use visualization and relaxation techniques to keep the patient calm and without pain. The practitioner will suggest to the subconscious mind that the body is not experiencing pain, to which the body will then respond. Hypnosis can be used as an effective part of a mental health treatment plan as well. Issues like depression, sadness, panic attacks, obsessive-compulsive disorder, and dealing with trauma can all be helped through suggestions made during a hypnotic script. Scripts to help overcome mental health issues will replace negative feelings and images with positive ones. Hypnosis is widely used to help with anxiety and specifically those who have anxiety around dental visits and procedures. Hypnotic scripts meant to suggest changes to promote dental health will help patients both improve dental hygiene habits and make visits to the dentist more pleasant. Healthy changes can occur to a patient’s physical appearance as well. Hypnosis to help with skin issues and make positive changes for the skin include imagery and visualization to create new routines. Patients come away with changed habits to improve the overall health of their skin. The confidence that comes from these hypnosis sessions can impact various aspects of a patient’s life. The hypnosis script will continue on to suggest how improved skin and health will translate to a healthier life. Because hypnosis deals directly with the mind and subconscious, it can be an extremely useful practice for those looking to increase their creativity. In a session focused on fostering creativity, the practitioner will lead the patient through a script meant to remove any blocks to creativity and let the mind see clearly. It is helpful in these types of sessions to understand what sort of creative work the patient wants to improve and tailor the script. Practitioners can also use hypnotic scripts to increase their own creativity to write better scripts. Self hypnosis scripts free can be found online. Practitioners can use self hypnosis to better their own practice. When they use self hypnosis, practitioners benefit from mastering the skills of their craft as well as experience the change they seek. Hypnosis can be used to improve patients’ motivation in a variety of areas: endurance, focus, success. All of these things can benefit from suggestions made to the subconscious. Hypnotic scripts written to improve a patient’s motivation will help the patient visualize what motivation feels like and where it can take them. Analogies, such as climbing mountains or running long races, can be used to create a positive association with being motivated. Many of the issues that adults want to change through hypnosis also occur in children. Even the youngest patients can benefit from hypnosis with a trained, trusted therapist. Scripts written to help children use simpler language and imagery that children can relate to and understand. The therapist will suggest to the child that things in their life are positive and that they are a positive person as well. Language will include phrases that tell the child that they are kind, responsible, caring, and other positive traits that the session is designed to suggest. This can help children gain a sense of confidence and empowerment as they grow. The possibilities for hypnosis scripts are endless. Because each patient is unique, with their own individual challenges, strengths, and needs, so too will each hypnotic script be unique. A clinical hypnotherapist can find scripts to meet each need, write their own, or modify scripts they have already used. They should always rehearse and practice scripts before a hypnosis session. A trained clinical hypnotherapist will tailor their scripts to both suggest the changes desired by the patient and use imagery, visualization, and other tools that resonate with that particular patient. Developing a good hypnotic script involves an investment of both time and imagination. But the benefits that a well-thought out script that is rehearsed and ready can bring to a session are immeasurable. This is why the foundation of any clinical hypnotherapist’s practice is the hypnotic script. Through suggesting positive change, the practitioner can help patients make real and lasting changes to their lives. This is one of the more fascinating topics in hypnosis and is part four of my five-part hypnotic sequence. You want the client’s conscious mind to forget as much of what happened during the hypnosis session as possible, so that the client does not over-analyze the experience after the session is over. When using hypnotic amnesia, the memory of the session still remains in client’s subconscious mind, so the change the client wants becomes an effortless process. However, amnesia will make it difficult for the client to remember the hypnosis session and therefore difficult to over-analyze it. If you have ever seen a stage hypnotist show, you have probably laughed along while a hypnotized person does silly things while under hypnosis. Afterwards, if told what they did during a stage hypnosis show, a participant will often say something such as, “I did what?! ?” Maybe they even watch a video of themselves doing a silly dance or talking into their shoe, thinking it’s a telephone., but they do not consciously recall these actions. This is because they have forgotten the majority or all of the suggestions that the hypnotist made. Maybe the stage hypnotist even told them, while in a trance, that they would forget. Some people forget the session naturally, without the need to amnesia. In clinical hypnosis, amnesia is also used, but for a very different purpose. Rather than adding to the entertainment, the amnesia portion of the session allows the client to make further progress toward their goals. This is accomplished because they are not able to critically analyze the positive suggestions for change they received while in hypnosis. 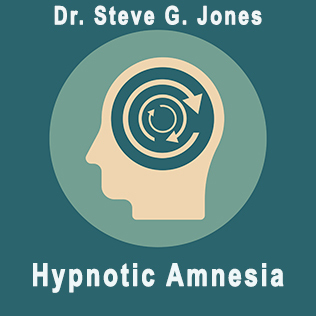 While included to entertain in a stage show, hypnotic amnesia is actually a very important component in clinical hypnosis as well. Amnesia used during a hypnosis session allows the subconscious mind to take over the important work of making permanent change in a client’s wellbeing and behavior without interference from the conscious mind’s analytical thoughts. It is important to understand why clients seek out hypnosis and the benefits that it can have. Many individuals with deeply-ingrained fears or anxiety around a particular event or place turn to hypnosis to help them overcome them. For example, those with a fear of flying can benefit from working with a trained clinical hypnotherapist to overcome that fear and be able to board an airplane. Other common client goals include overcoming the fear of medical or dental procedures, smoking cessation, weight loss, and depression. Hypnosis has also been used a pain management technique. Going into a deep trance during hypnosis enables powerful suggestions, made by a skilled and trusted practitioner, to enter the client’s mind. It can help with everything from childbirth to preparing for anesthesia. In all of these cases, the hypnotherapist works to retrain the conscious mind through suggestion. While in a hypnotic trance, the practitioner suggests to the client that the things they are able to do the things that they were previously struggling with, whether that a fear or a lifestyle factor. Positive associations replace negative associations. But what happens when the mind tells the client that what the practitioner has suggested is not actually true? The powerful conscious mind begins to question the positive associations. It turns back to the client’s fear of boarding an airplane. The conscious mind starts telling the client that airplanes really are dangerous and scary, no matter what the hypnotherapist may say. This is where hypnotically induced amnesia comes in. Amnesia is just another portion of a hypnosis session, so it is based on the practitioner’s suggestions to the client. During this segment, the practitioner induces amnesia, causing the client’s conscious mind to forget what was said during the session. It may seem counterintuitive to intentionally lead the client to forget the work that they and the practitioner accomplished, but it is actually very important to keeping those fears, anxieties, or harmful lifestyle habits in check. But wait—doesn’t that negate the work done during the session? If the patient does not remember the suggestions made by the hypnotherapist, what is the point of undergoing hypnosis? The answer lies in where those suggestions and messages are stored. By suggesting to the patient that they do not remember what was specifically said during the session, the conscious mind does not have an opportunity to reintroduce doubts or fears. The fear-based message, which had previously been causing so much anxiety, does not have a chance to start repeating itself again. Rather than the conscious mind reminding the client of all the dangers associated with an airplane that fed their anxiety in the first place, the mind allows the new positive messaging to percolate under the surface, in the subconscious. Amnesia does not mean that the client completely forgets everything that occurred during the session. The subconscious mind still retains all of the suggestions made by the hypnotherapist to the client. Amnesia specifically targets the conscious mind, that portion of the client’s thoughts that will reintroduce doubt and fear. The subconscious mind, on the other hand, will keep the positive associations and suggestions available. Even though the client does not specifically remember what was said or done during the session, the subconscious mind remembers the new associations, which the client can use the next time they are in that situation, such as boarding an airplane. 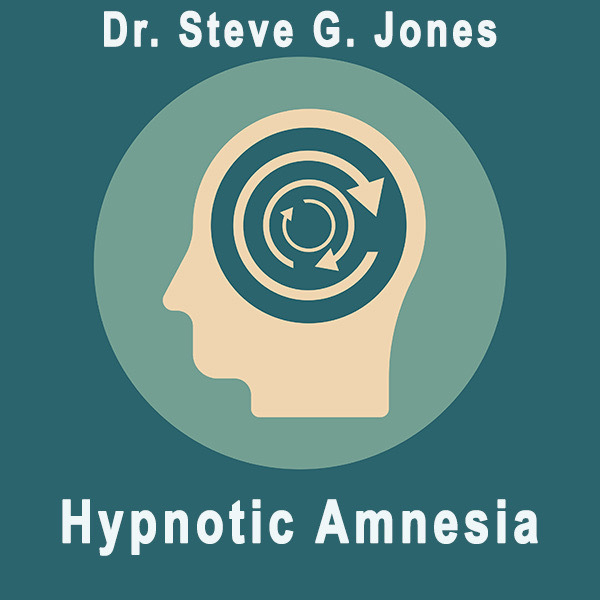 While the amnesia portion of hypnosis refers to a particular part of the practice during which a client “forgets” what occurred during the session, the principles behind it are actually wide-reaching. Clients who are working on overcoming negative associations, whether with a specific trauma or fear, have a goal of forgetting these negative thoughts and replacing them with positive ones. During hypnosis, the practitioner helps them to forget the things that concern them about the event or fear and move on to more positive associations. They do this by making suggestions to the client. The act of consciously forgetting, then, is an important aspect of a thorough hypnotherapy session. Once the client is in a hypnotic state, the practitioner suggests that they forget or let go of any negative associations that may be holding them back from their goals. In the case of the fear of flying, the client is not trying to forget all of the dangers associated with an airplane, but rather their reaction to them. The dangers will still be there, but the client will be able to acknowledge them without experiencing the debilitating fear that kept them off the airplane. During the amnesia portion, the goal becomes to forget the specifics of the session. The details will still be there in the client’s subconscious mind. But through experiencing posthypnotic amnesia, the client will be able to benefit from the effects without concerning themselves with the details. A 2008 study published by Scientific American on posthypnotic amnesia and it use in brain research showed that amnesia “actually influence brain activity associated with memory.” In their research, posthypnotic amnesia caused a person to forget specific events or memories, although they were able to recall them when a new hypnotic suggestion was made. This showed that those memories were stored somewhere else in their brain and still influencing their behavior. The study, conducted by neuroscientist Avi Mendelsohn and his team at the Weizmann Institute in Israel looked at brain scans of those who has undergone posthypnotic amnesia after watching a movie. They found that those who had amnesia induced through hypnosis were unable to recall as many details from the movie as those who had not. After the posthypnotic amnesia was reversed using a cue, their recall became the same as those who had not had amnesia induced. Their brain scans showed that when asked questions that they could not remember due to posthypnotic amnesia, the areas responsible for visualizing scenes and analyzing questions were inactive. However, the areas responsible for brain activity regulation was more active than normal. The analysis of the study published in Scientific American provided definitive scientific evidence that posthypnotic amnesia has an effect on the brain and behavior. Practitioners should avoid using the phrase “you will forget” during the amnesia portion of the hypnosis session. Even though that is what will happen, clients will feel uneasy when told that they will forget all or part of what they experienced. This will cause them to put their guard up and keep them from relaxing, making the rest of the session ineffective. The same conscious mind voice that the practitioner is trying to keep from injecting negative thoughts will start to sound the alarm that things are not going well for the client. Instead, a skilled clinical hypnotherapist will use subtle language and suggestion to tell the client that they do not need to remember what happened during the session. Based on the deep state of hypnosis that the client is in by this point in the session, they are likely to forget the specifics of the session without a blatant command or suggestion to forget. For this reason, subtlety is more effective during the amnesia portion of hypnosis. One effective way a practitioner can subtly guide a client through amnesia is telling them that there is no need to remember all the information from the session. A practitioner can also tell the client that the suggestions made during hypnosis can fade from their conscious to subconscious. Both of these techniques use positive, relaxing suggestions rather than commanding the client to forget. Some practitioners even leave the amount that a client choose to remember up to them. Many times, clients will automatically recall fewer and fewer details from the session because they are so relaxed. Metaphors can also be used during amnesia. The practitioner will tell the client that they can remember the overall feeling or experience without worrying about the details, much like reading a book or watching a movie. Metaphor has the added benefit of distracting the client from what was said during the session. Before beginning the session, the practitioner will discuss something trivial—a sort of small talk. This can be anything from the weather to the client’s weekend plans. After completing the trance termination, the practitioner reengages the client in the same conversation, as if the entire hypnotic state did not occur. The client now focuses on this new conversation. This also forces the client’s conscious mind to think about something other than hypnosis. Much like dreams fade into our subconscious mind upon waking and focusing on our day, distracting clients with small talk will allow the suggestions made during hypnosis to fade. Word choice and language is one of the most powerful hypnosis amnesia techniques a practitioner can employ. Language and tone used during hypnosis should always be relaxing and calm. The language used during the amnesia portion of hypnosis is intentionally scattered and scrambled. By doing this, the client’s conscious mind, which is focused on analysis and reason, has trouble keeping up. This is designed to keep the conscious mind, that part responsible for the habit or fear that the client is trying to overcome, from restating the negative thoughts. Practitioners can suggest to clients that they are having trouble remembering what was said 5 minutes ago, 10 minutes ago, or 15 minutes ago. Telling clients that they can relax and not concern themselves with remembering the specifics will allow their conscious mind to feel comfortable and at ease. It also builds upon the relaxation techniques used in earlier portions of the hypnosis session. Then, the subconscious can take over and store the suggestions relayed by the practitioner during the session. This information will slowly make its way back into the client’s behavior and associations, without being part of their conscious recollection. This is how the benefits of hypnosis—weight loss, overcoming fears and anxiety, dealing with depression—can occur for clients. The amnesia portion of hypnosis does not rely on specific imagery or visualization techniques that are often used in other parts of a session. The actual amnesia portion should remain relatively simple and short, often around sixty seconds. Practitioners can respond to individual needs and temperaments by choosing to skip or include hypnotic amnesia. Rather than personalizing the hypnosis amnesia script itself, practitioners can design the session to include or omit amnesia based on the needs of the client. Some clients enter such a deep state of hypnosis that they do not need the amnesia portion at all. Practitioners may be able to skip the amnesia or deepening portion of hypnosis if they find that it is not necessary for particular clients. It is important to evaluate this need over time. Practitioners can ask the client for feedback about the session and include questions about their recall. This will help them understand what the client retains in their conscious mind and how to structure the next session appropriately. Amnesia should always be included in an initial session with a new client. For highly-analytical clients who try to stay awake and alert during the entire session, amnesia can help the suggestions made during hypnosis to remain only in the subconscious mind. Amnesia should always be included in the session for clients who are skeptical or analytical. After you have successfully relaxed the client (induction and deepening), imparted the positive change information (script) and allowed them to consciously forget the session (amnesia), you will need to end the session. 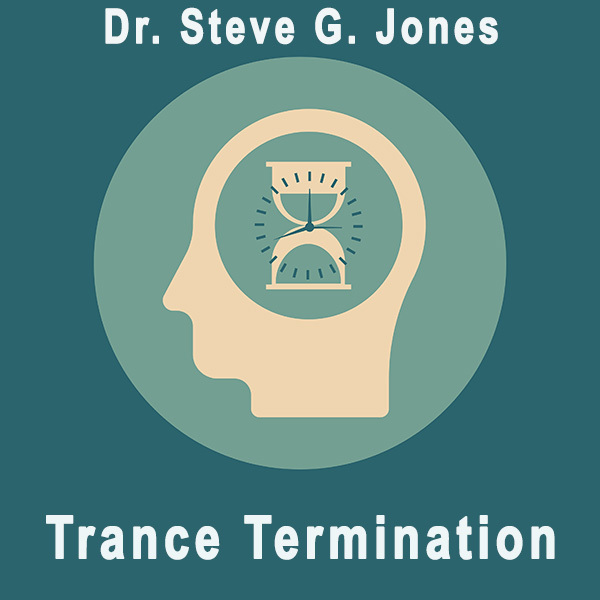 Trance termination is how a hypnotist or hypnotherapist ends (terminates) the session (trance). Trance termination serves as the counterpart to the trance induction, during which the hypnotist will guide the client out of the hypnotic state. Before we explore how a hypnotherapist guides a client out of a hypnotic trance, it is important to understand the various brainwaves that a client experiences during their session. Brainwaves are the electrical current that occurs in the brain during different states of consciousness. When the brain is highly engaged, it generates more electricity. When it is more relaxed and less active, it generates less activity. Scientists have classified the amount of brain activity into four categories. Beta waves occur when the brain is highly active or engaged. This could be during mentally stimulating activities or in times that the brain perceives an increased need for awareness of the individual’s surroundings. Everything from being actively involved in a stimulating conversation to engaging in a public debate can cause the brain to enter beta. Alpha waves are slower and have a lower frequency than beta. Individuals in an Alpha state are relaxed or resting. Meditation is a common time to enter alpha, as the individual is awake and aware, but not actively engaged in evaluating their surroundings. The next state, theta, occurs when an individual is not just relaxing but “zoning out.” Daydreaming or mindlessly completing tasks without conscious thought, such as doing dishes while the brain drifts off, is when theta commonly occurs. An important component of a theta state is the ability of the brain to turn off from responding to environmental stimuli. This can happen when performing repetitive, familiar tasks or when prompted during a hypnotherapy session. Creative ideas and positive associations are often associated with theta. The final brainwave state (and the one with the slowest frequency) is delta. The brain enters delta when the individual is asleep. When cycling through delta and theta, the individual can be actively dreaming. While not fully awake and responding to their surroundings, the brain is still in some state of activity that ebbs and flows with the sleep cycle. During deep, dreamless sleep, the brain spends almost all of its time in delta. During sleep, a person goes through all of the states of brain activity. When they first lie down, a person is in Beta. As they start to drift off, they enter alpha, theta, and eventually fall asleep in delta. The typical sleep cycle is around 90 minutes and includes Rapid Eye Movement, REM, during the portion of active dreaming. When a person awakes from a deep sleep, they experience the same brainwave states in reverse. They move from delta to theta, then alpha. They eventually regain full consciousness and awareness in beta. During a hypnotherapy session, the therapists uses their knowledge of these brainwave states to guide the client into a relaxed state of alpha, theta, or even delta. It is in these relaxed states that clients are able to make new positive associations and work towards the goals that brought them to the practice. I’m sure you know how unpleasant it is to abruptly move from a relaxed state, delta (sleep) for example, to the full consciousness of beta (awake). The same is true of a hypnotherapy session. It is the responsibility of the therapist to make sure that the transition back to beta is both gentle and gradual. This will ensure that the brain has adequate time to transition between each state and that the positive associations made during the session will remain. It is important for the therapist to prepare the client’s subconscious mind to come out of the hypnotic trance. The same general preparation techniques can be used to prime the brain that were used in the beginning of the session, before the client entered hypnosis. Therapists begin transitions of brain wave states by telling the client what will come next. This is an important aspect of all portions of hypnosis, but never more important than in the major transition from a hypnotic state (alpha, theta or delta) to full wakefulness (beta). Therapists can do this by telling the client what will happen as they become more aware of their surroundings, both physically and in their mind. Describing the sensation of bodily awareness, before actually prompting it, can help the client enjoy a more smooth transition from one state to another. So how exactly do clinical hypnotherapists ensure that tender transition back to beta? There are a few specific techniques that have been shown to help. The most common way to induce the trance termination is to count from one to three. But the count should include specific directions about how the client will feel, such as feeling rested, relaxed, and alert. Just as in other portions of hypnosis, language should always be positive and upbeat. Between each counted number, the therapist will reiterate to the client that they will feel relaxed when they return to full alertness. Many therapists suggest to the client that they will feel the way they do after they take a particularly restful nap. This allows them to reference a feeling and experience while returning to wakefulness. Some practitioners count backwards from three to one, while others count from one to three. Either technique can have the desired impact on the client and their conscious mind. It is more important to prepare the client for what will happen at the end of the countdown or count up—that they will be alert and awake, feeling refreshed and in control. It is not enough to simply count one, two, three and expect the brain to jump right back into Beta. A good therapist will take a minute or two to prepare the brain for the transition, saying things like “In a few moments, I will count to three” or “When I count to three, you will be fully alert and awake.” It is also important to reinforce that even after the session is over, the suggestions made during hypnosis will remain in the subconscious mind. Telling the client this during trance termination will cement it in their mind. A gentle but firm tone should be used during the trance termination portion of the session. Most clients would happily stay in a relaxed state all day. But the benefits of hypnosis are not realized until the client reenters Beta and makes real and lasting changes in their life based on the work done during the session. A firm, authoritative tone will signal to the client’s brain that it is time to return to beta. Another key indicator that a transition is occurring is increasing the volume of directions given to the client. The practitioner can begin at one in the same calm and serene voice used during the session, gradually increasing in both intensity and volume by the time they arrive at three and the end of the trance termination. It is also important to recap and reinforce the work done during the session while doing the trance termination. Remind the client’s subconscious of the new associations made and that they will continue after the hypnosis session. What if trance termination doesn’t work? 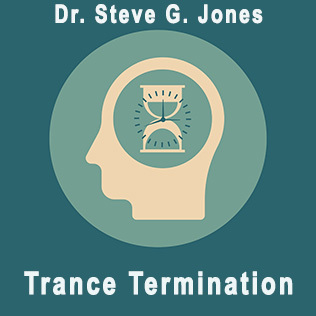 Despite its name, the trance termination is not the end of the clinical hypnotherapy session. It is important for the therapist to provide a relaxing environment in which the client can fully return to the “real world.” Therapists should not rush a client as they come back to their conscious mind. Many clients choose to remain in the same position as they did during the session for a short time. After all, they just left a state of complete relaxation and will need some time to readjust to full wakefulness. This is okay and should be expected. If the client has not responded or moved after a minute following the completion of trance termination, gently prompt them to move through suggestion. You can also prompt the brain by repeating the one, two, three count, increasing in volume from your previous suggestion. If these attempts do not prompt a response or movement from the client, they may be asleep (in delta). You still do not want to abruptly bring them back to beta. Instead, you can continue an abbreviated version of trance termination that includes the one, two, three count with increasing volume, until they fully regain consciousness in beta. Repeat this as needed until the client is fully awake. No matter how many rounds of counting you complete for the client to return to beta, it is still important to allow them some time to relax and fully regain awareness of their surroundings after returning to beta and before physically leaving the session (walking away). This may mean that the overall session is longer, especially if it takes multiple counts for them to wake up. It is important not to skip this step or to force them to transition back to beta abruptly. A therapist can assist with this transition by helping the client adjust to full awareness. Certain environmental and conversation factors can signal to the brain that it is going through the transition back to Beta. No one likes to immediately be confronted with loud noises or bright lights upon waking. The same is true during hypnotherapy. Therapists can help clients adjust by making these changes gradual but noticeable. Increase volume, cadence, and tone to that of a normal conversation. Topics can also revert to normal instead of the calming imagery and visualization used during the session. Increasing the volume of any background music and turning up office lights can also signal a return to a normal environment. If the curtains were drawn during the session, open them after trance termination to bring in more natural light. It’s helpful to use the client’s name more when returning to “normal” conversation following trance termination. This prompts the client to engage in more active listening, as the conversation is directed at them personally. He says it can also be useful to return to a discussion that was begun before the client went into hypnosis. This can act as a bridge from one instance of Beta state to another. All of these techniques act as cues to the client’s brain that the hypnosis session has come to an end and they are reentering the world of the conscious, alert mind. Many practitioners, including myself, use recordings of hypnosis sessions for their own practice or for their clients to access at home. Recordings can allow therapists to use hypnosis techniques on themselves to deepen their understanding of the practice, as well as move towards their own goals. Recordings can even help them to create more creative hypnotherapy scripts! When using recordings, it is helpful to play them before bed. The relaxed state of hypnosis is a good complement to entering a restful sleep. When doing so, it is important to omit the trance termination portion of the recorded session. During trance termination, the listener goes from a relaxed state of alpha, theta, or delta back into the active and alert state of beta. When listening before bedtime, the listener wants to remain in a relaxed state and eventually enter their normal sleep pattern. So, instead of going through a trance termination, the therapist can simply record themselves saying something that will prompt the listener to “drift into a peaceful sleep.” Rather than instructing them on how they will awake following a one, two, three count, the therapist will cue them to enter sleep and to wake up in the morning feeling relaxed and refreshed. Recordings at bedtime can be a highly effective way for clients to get continued benefits of hypnosis in a routine and structured way at home. They can also help the client continue to make progress and move toward their goals. Recordings should be listened to for 21 nights consecutively in order to have the desired benefits.